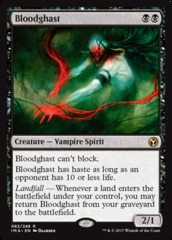 Card Text: Bloodghast can't block. 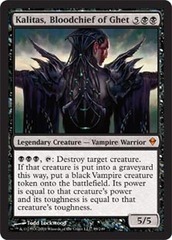 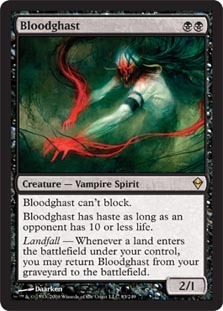 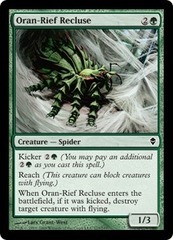 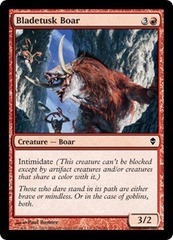 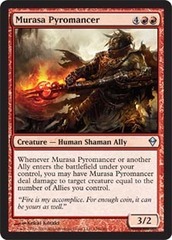 Bloodghast has haste as long as an opponent has 10 or less life. 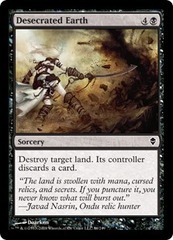 Landfall ? 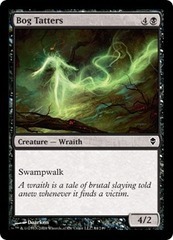 Whenever a land enters the battlefield under your control, you may return Bloodghast from your graveyard to the battlefield.